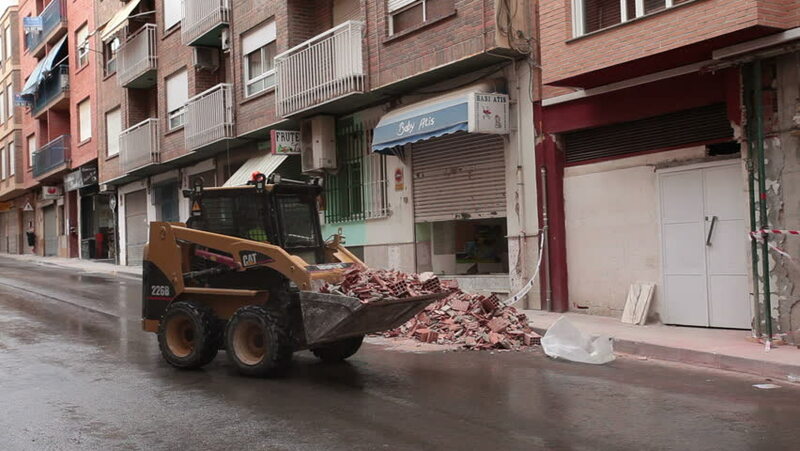 LORCA, SPAIN - MAY 20, 2011: Earth quake destruction in Lorca, Spain on May 20, 2011, several days after event. People work to cleanup and stabilize broken and cracked buildings. hd00:21LORCA, SPAIN - CIRCA MAY 2011: Massive earthquake cleanup and stabilize buildings in business section of the central city in Lorca, Spain circa May 2011.
hd00:10JODHPUR, INDIA - 5 FEBRUARY 2015:View of almost empty?street in indiantown Jodhpur. 4k00:17The boy leaves the house. He enjoys the snow.